Birth control should be free, but instead the Trump administration is reportedly about to make it even harder for some women to obtain. The New York Times reported on Thursday that the Trump administration is planning to announce an extreme easing of the federal mandate that requires health insurance plans offered by employers to include birth control coverage. The new guidelines, which are expected to provide many more contraceptive coverage exemptions, could be announced as early as Friday. 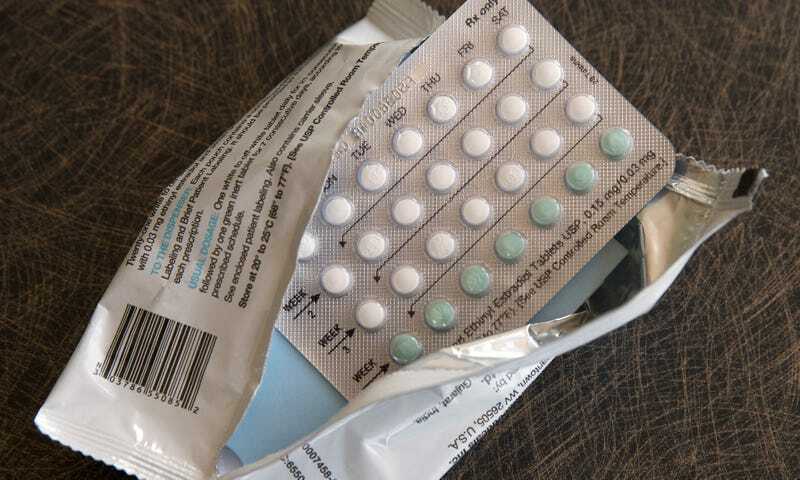 One of these new regulations would offer an exemption to any employer or insurer who does not want to make contraceptives available to women “based on its sincerely held religious beliefs,” according to the Times. This isn’t surprising, since Trump generally tends to support bigots and whatever novel loopholes allow them to be more free to practice their bigotry openly and legally. Trump has been expected to dismantle the birth control health care mandate for a while now, since undoing Obama-era protections one by one is kind of his thing. That and being incomprehensible, dangerously dumb, and infuriatingly the President at all times. Another regulation—an even loopier loophole—would offer exemptions to employers with “moral convictions” against covering birth control, the Times reports. Both of these measures would reportedly go into effect as soon as they are published by the office of Federal Registrar. According to a study commissioned by the Obama administration, more than 55 million women have access to contraceptives without co-payments thanks to the mandate. The administration lists among its reasons for rolling back the Obama-era requirement that it could promote “risky sexual behavior” among teens and young adults. Under these new exemptions, colleges and universities that provide health insurance will also be allowed to opt out of the contraceptives mandate. I have nothing more to say except: I share your anger. Update 10/6/17, 12:00 pm: On Friday morning, the Trump administration officially rolled back the birth control mandate, abandoning women to allow any company or nonprofit organization to drop coverage on religious or moral objections.